We are a small group of friends who began working together in 2014 to build a used toy repair and resale business. It is our hope that others will share in our sense of nostalgia for these classic toys and will want pass them down for the enjoyment of younger generations. 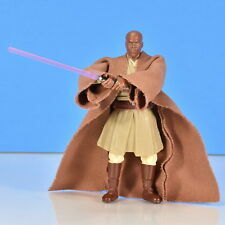 We are currently focusing on toys from the 80’s, with a sprinkling of newer items as we come across them. We work on the figures, clean them (carefully), repair them and try to gather all the accessories to make it a complete action figure for a beginning or intermediate collector. All products ship from Sioux Falls, South Dakota. 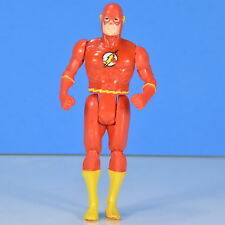 DC Comics - Flash, 1984, Super Powers, Arm is loose. GI JOE - Baroness, Wetsuit, and Snow Job sold as lot. See description. 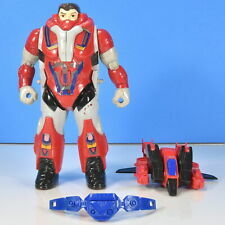 GI JOE - W.O.R.M.S., 1987, no helmet or antenna. Figure only. GI JOE - B.A.T., 2004, No backpack or sword attachment. GI JOE - Cobra Slice and Cobra Slash G I Joe Valor vs Venom 2005 missing parts. Marvel Comics Heroes Spidermans. Lot of 3 from different sets and years. 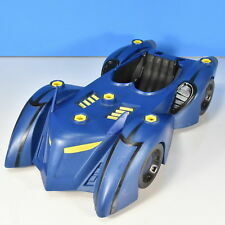 DC Comics - Batmobile, Batman Forever, 1995, missing multiple parts.